The Historic Landmarks Board announced the winners of its inaugural Historic Photo Contest. 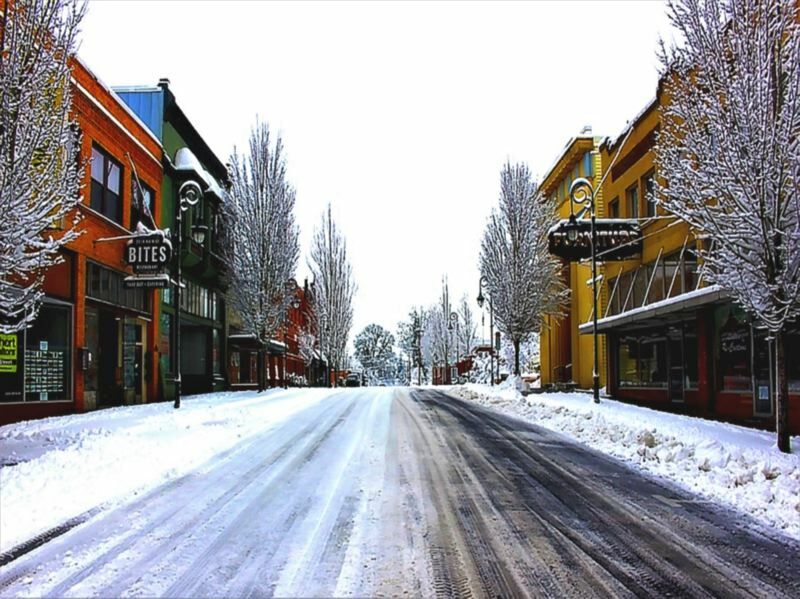 The Forest Grove Historic Photo Contest winners have been announced. Doug Reid is the winner in the adult division, while Erik Ramirez in the winner in the youth division, said Holly Tsur, announcing the results of the contest in the Forest Grove Community Auditorium during a Forest Grove City Council meeting Monday, May 14. Tsur serves as chairwoman of the Forest Grove Historic Landmarks Board. The board decided to hold the contest this year as a way to observe Historic Preservation Month in May. Reid wasn't at the City Council meeting to accept his honor, but Tsur explained what made his photo stand out to contest judges. "His submission, titled 'Snowy Forest Grove,' invites the observer to stroll historic Main Street through an enchanted wintry scene," Tsur said. "Judges praised the artistic composition of his work and the sense of wonder it brought to our city's historic downtown." In particular, judge Carol Berget was pleased by "the tire tracks in the snow, leading off into the distance of the wintry sky" and the multiple historic buildings of Main Street featured in Reid's photo, according to remarks relayed to the News-Times by Historic Landmarks Board member and contest organizer Larissa Whalen Garfias. Ramirez' photo is very different from Reid's and takes an unusual tack for a contest that challenged entrants to photograph a historic place in Forest Grove: It's a tight-shot portrait of a person, with a recognizable building as its background. 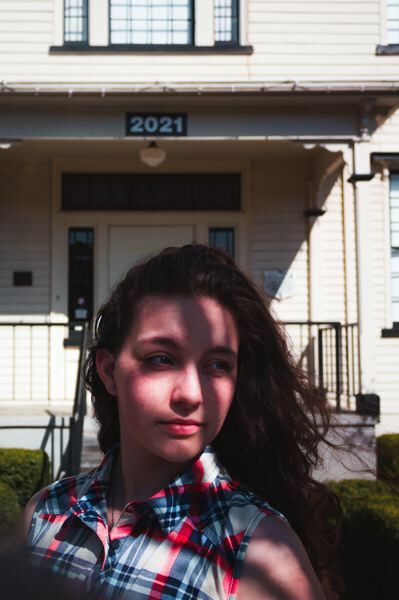 "His submission, titled 'Shadows,' features one of Forest Grove's oldest historic landmarks, Old College Hall on Pacific University's property, as a determined young woman stares out into the future," Tsur said of the photo. Ramirez accepted his award in person at the May 14 council meeting. Tsur praised the submissions the Historic Landmarks Board received. "We had really beautiful entrants this year," she said. And board members are hoping that continues next year. Though this was the first Historic Photo Contest the board has put on, organizers plan to make it an annual event in Forest Grove. The Historic Landmarks Board is one of several volunteer advisory groups affiliated with the City of Forest Grove. Its role is to promote the preservation and appreciation of Forest Grove's historic places.